We are delighted to welcome novelist Christopher Meeks to Omnimystery News today. Chris's new book is the crime thriller Blood Drama (White Whisker Books, June 2013 trade paperback). We recently had the opportunity to talk to Chris about his book. Omnimystery News: You've written several other books, but Blood Drama is your first thriller. What prompted you to choose this genre? Christopher Meeks: I chose this genre because I like it. I originally began with short fiction, the kind of stories that are taught in high schools and colleges as examples of good stories. Because I also teach college English right now, I'm talking about such stories as Hemingway's "A Clean Well-Lighted Place," Lorrie Moore's "How to Become a Writer," or even Kurt Vonnegut's "Harrison Bergeron." To me, they all share the idea of honesty. These are passionate writers writing about things they believe in. Thus, that's what I started with: to write about things I knew as honestly as I could. Tim O'Brien's story "The Things They Carried" hit me this way, too. OMN: What do you mean by "the idea of honesty"? Do you consider most fiction to be "dishonest"? CM: One of Tim O'Brien stories in the book The Things They Carried speaks about how fiction lets you dive into the truth in a deeper way than nonfiction. That's because by pushing or stretching a situation that you may have been involved in focuses in a deeper way on the truth of the characters and their feelings. I don't see the best mysteries or thrillers as lies but, rather, examples of the way people are in this world. Dishonest writing tends to be writing about things you don't know for what you hope will be a lot of money. I'm not sure how the idea that writing can make you rich came around, but most writers don't make a lot of money at it. OMN: Can you expand on that a bit more? CM: This genre has its own kind of language, and I wanted to try it. With every book I do, I push myself. For instance, in my last novel, Love at Absolute Zero, I had to learn and understand quantum physics so that I could write about a physicist who not only falls in love, but also he specializes in what happens to matter near absolute zero. That in itself became a metaphor for love. I'm proud of that book. OMN: How did you go about developing the storyline for Blood Drama? CM: I first was pulled into the form with Raymond Chandler and Dashiell Hammett, and in recent years, I really enjoy Michael Connelly, Patricia Cornwell, Walter Mosley, and Robert Crais, among others. I'm not like my mother, who was a voracious reader of the form, and whose books I've inherited. However, I thought if Chandler could write about Los Angeles in his day, maybe I could be as observant and write about some people here in my day. Although I am a former journalist, I had never worked a crime beat as Connelly had, but I'm a great researcher. I was able to interview a working FBI agent and a recently retired one who specialized in bank robbery in Los Angeles. Another reason I wrote this book is I ran out of stories that happened to me. As farfetched as Love at Absolute Zero might sound, the essence of the action happened to me. I fell in love with a Danish exchange student at my former high school, and I moved heaven and earth to spend my junior year abroad in Denmark and live with her. When I arrived, I learned she was living with another guy, so she had me live with her parents. Now you see some of the absurdity I see in life. Blood Drama started from the time I spent correcting English papers at my favorite Starbucks inside a bank. After about a year, it occurred to me that someday I might witness a bank robbery. Was it really a good place to correct papers? What if I were taken hostage? OMN: So what does it mean to be a thriller writer or mystery author? CM: Now we're getting into what being a writer today means — knowing about marketing. I started this book thinking it was a mystery: who were these people who took Ian hostage? It's a gang run by two smart and even sensitive women. Why are they doing this? We don't know until the end. However, that does not truly fit into the definition of a mystery. Ian isn't after someone he doesn't know. Thus, it's more of a thriller and on the very edges, a romance even. Of course, everything I try tends to end up with odd, even quirky characters and situations. "Cross-over" is probably the best category. The cover to me definitely shows "Thriller" — a beautiful girl with a gun. The story is fast-paced, too. OMN: Give us a synopsis of your book in a tweet. CM: In the crossover #thriller BLOOD DRAMA, Ian Nash scours the earth for his assailants and falls for the female FBI agent assigned to him. 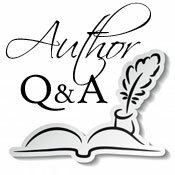 OMN: Why did you choose to write the book as a stand-alone as opposed to the first of series? CM: It's hard enough writing a single novel. However, toward the end of it, it occurred to me that I should not completely ignore this becoming a series. I didn't conceive it as a much larger story as J.K. Rowling conceived Harry Potter as seven books or my friend E. Van Lowe thought of four books in what has become a popular paranormal romance series. Even so, I really got to like Ian and Aleece, so I kept open the possibility for more. Connelly didn't conceive of twenty years of Harry Bosch. He's made stand-alone stories with the same character. The very first reviewer for Blood Drama wanted to see more of Ian and Aleece. I suppose it depends on if readers find this book. Christopher Meeks is best known for his literary fiction, starting with his first collection of short fiction, The Middle-Aged Man and the Sea. Another collection and two novels later, Meeks's first thriller — Blood Drama — will be published June 1st, 2013. A publication party will be held at Book 'Em Mysteries Bookstore in South Pasadena, and you're invited to the reading that day at 2 p.m. The store is located at 1118 Mission St., South Pasadena, California 91030. To learn more about the author and his work, please visit his website. Thanks so much for taking part in the tour. What a great interview!